Gildan’s commitment to its 50,000 employees worldwide goes well beyond offering fair wages, to creating sustainable programs that create positive impacts for its employees, their families and the communities where it operates. Aside from delivering more than 2 million of training and development hours last year, the Company provided over 181,000 free medical consultations, U.S. $4.8M towards free transportation and U.S. $15.8M in subsidized meals for employees. As diversity and inclusion is an important pillar for the Company, Gildan has pursued a variety of initiatives designed to provide development opportunities to women, including the Women’s Empowerment Program in collaboration with World Vision Honduras, the Women’s Leadership Series and other initiatives. The Company hopes to inspire, engage and support women in developing their leadership skills in both their professional and personal lives. Today, over 42% of Gildan’s management positions are filled by women. 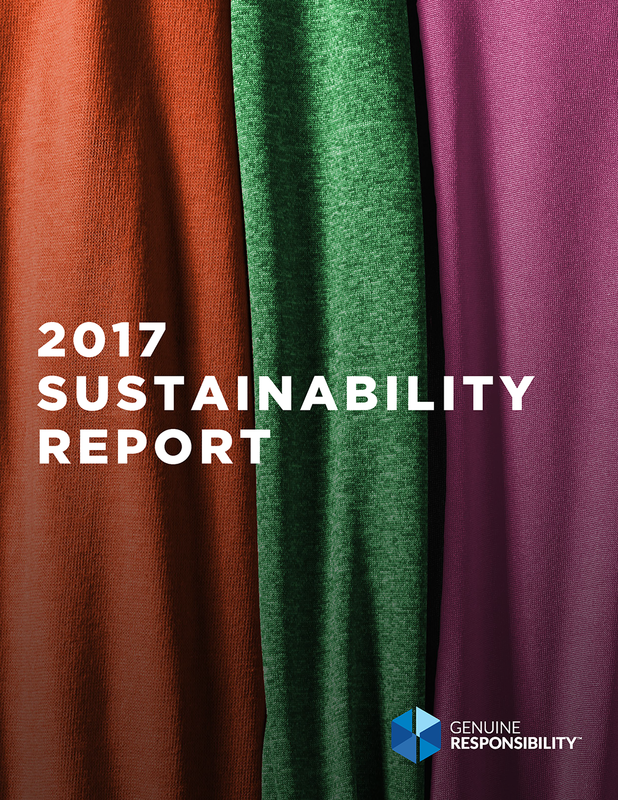 In 2017, Gildan successfully reduced its water intensity per kg of production by 10% through continued investments in new technologies and innovation. Recognizing the value of this important resource, Gildan is piloting several research projects to reduce its water extraction loads by reintegrating recovered water back into its processes. Gildan’s impacts on climate change are largely driven by energy consumption in its operations. Biomass steam generation operations have allowed the Company to generate 43% of all used energy from renewable sources in 2017. The Company made further investments into technologies, such as absorption chillers, which harness thermal energy from steam to create cool air for the Company’s air conditioning systems in several facilities, significantly reducing energy demands and corresponding GHG emissions. Gildan is committed to generating positive economic impacts in the regions that go beyond the scope of its operations. In 2017, the Company purchased U.S. $150M from local suppliers and prioritized hiring of local talent. As a result, 83% of all management positions in its operations are held by local employees. Gildan also invests in developing infrastructure in its communities to support health and education. In Honduras, the Company contributed U.S. $518,000 towards the refurbishment of the newborn unit at the Mario C. Rivas Hospital in San Pedro Sula, Honduras. This new facility will provide care and services to more than 3,000 infants, annually, addressing both acute and chronic illnesses. Through its American Apparel® Pencils of Promise campaign, the Company contributed more than U.S. $200,000 to help raise awareness and support for child literacy, building new schools, improving infrastructure and providing support to teachers in Guatemala and Ghana. In further support of youth education in developing countries, the Company donated U.S. $75,000 to Room to Read® to implement a Girls’ Education Program in Bangladesh, and established a library and literacy program at a school in Dhaka. Once again last year, the Company was recognized for its ongoing commitment to operate responsibly through its inclusion on the Dow Jones Sustainability World Index (DJSI World Index) for the fifth consecutive year. It remains the only North American company in the Textiles, Apparel and Luxury Goods industry group listed in the World Index.